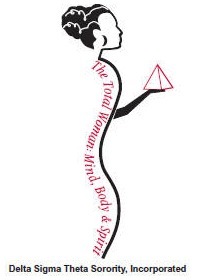 Physical and Mental Health - Houston Metropolitan Alumnae Chapter of Delta Sigma Theta Sorority, Inc. The Physical and Mental Health (P&MH) committee of the Houston Metropolitan Alumnae Chapter (HMAC) seeks to achieve the physical and mental health initiatives recognized by Grand Chapter within our local community and to raise awareness and educate our members about health issues that disproportionately impact African American women. This Delta year has been filled with numerous activities, events and information focused on improving our individual physical and mental health and the health of those in the communities we serve. Just to name a few, the committee will conduct healthy walks, bone marrow and blood drives, 5K Run/Walk, and distribute information. Other National organizations that have benefited from HMAC donations are: Sister's Network, Inc. and the March of Dimes. HMAC’s Signature event is an annual Community Health Fair that focuses on creating awareness and sharing information on a variety of topics, including healthy eating and lifestyles, STDs, Sickle Cell Disease, Domestic Violence, and Bullying, etc.